Finding the right people can be the most time consuming yet vital part of running a successful business. Let HR Staff n’ Stuff search high and low to find your next high performer. HR Staff n’ Staff manage all the recruitment process stuff for you. Think of us as your HR partner. We take the time to learn about your business, the role and what type of candidate will fit seamlessly in your team and company culture. All you need to do is take your pick. Select one of our recruitment packages that work best for you. Be assured that there are no hidden costs and there's no salary percentage charge like recruitment agencies charge. That’s why we’re different. ​Select one of our packages that work best for you. Be assured that there are no hidden costs and we don’t charge a salary percentage like recruitment agencies do – that’s why we’re different. We consult with a business representative about the role and company culture, and confirm details such as salary range and ideal candidate profile. We write and post an advertisement on relevant job boards. We receive, review and shortlist candidates including conducting phone screening interviews and design and use a range of capability / skills assessment tools as required. We provide a candidate summary and top picks. We provide a process checklist, interview guide, reference check guide and interviewing tips to help you select the very best candidate! We receive, review and shortlist candidates including conducting phone screening interviews. We conduct 1st interviews (up to 4 candidates) and design and use a range of capability / skills assessment tools as required. We provide the top 2 or 3 recommendations. You conduct the 2nd interview. 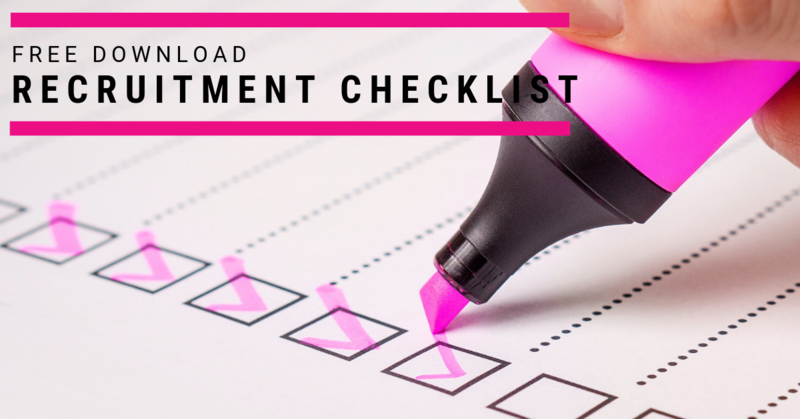 We provide a process checklist, interview guide and tips to ensure you select the very best candidate for your business. We hold a debriefing post interview to assist with decision making. We conduct 1-2 reference checks. We conduct 1st interviews (up to 4 candidates), or come to your office and coach you in the interview process. We design and use a range of capability / skills assessment tools as required. Psychometric Testing (McQuaig) - where required. We conduct 2nd interview with you and provide feedback and support to help with your decision making. We coach you at the same time to up-skill your recruitment skills!